Hi Christophe! Before we get started, could you explain who you are and what your expertise is? 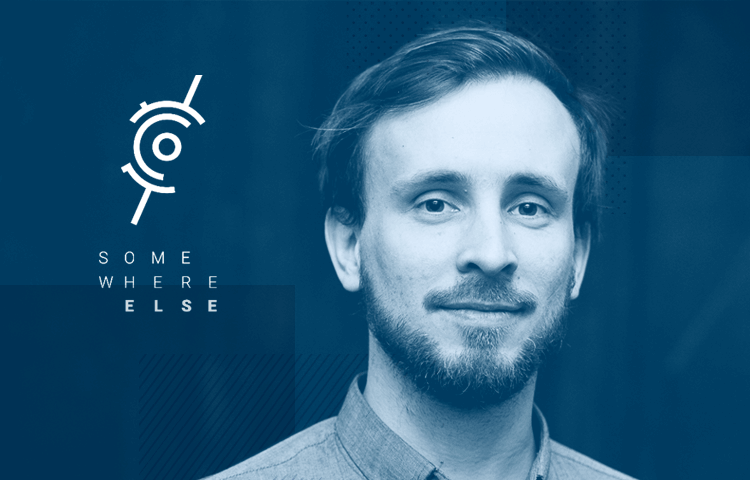 I’m the co-founder of Somewhere Else, a London-based creative agency. We specialise in immersive technologies, namely AR and VR. We advise our clients on how they can leverage those new technologies to tell their story in meaningful ways. I’m a storyteller at heart. I tried to tell stories through music and scriptwriting at university (it was pretty bad…) and was fortunate enough to make a career for myself in digital and social media strategy. That’s when I started to explore how new media was impacting the way brands and individuals tell their stories. In 2015, I tried the “Van Gogh: The Night Café VR” experience on the Oculus Rift. I felt a sense of presence and immersion that I’d never experienced before. It felt like a completely new way to tell stories. One that could not only elicit emotion but literally create vivid memories and influence behaviour. It was unlike anything I’d tried before, and so…with Julien Denoel and Ramy Elnagar we started Somewhere Else. VR and AR is really taking the tech world by storm. The question on everyone’s lips seems to be will it ever truly take off commercially. What are your thoughts on this? The truth is that the technology is one or two generations away from really being consumer-friendly. Most headsets lack sufficient convenience, style and affordability at this stage. With that said, consumer content is getting so much better. Barely a year on, and AAA game franchises are investing their resources into VR native content. From a marketing perspective, brands have a new medium to engage audiences with. 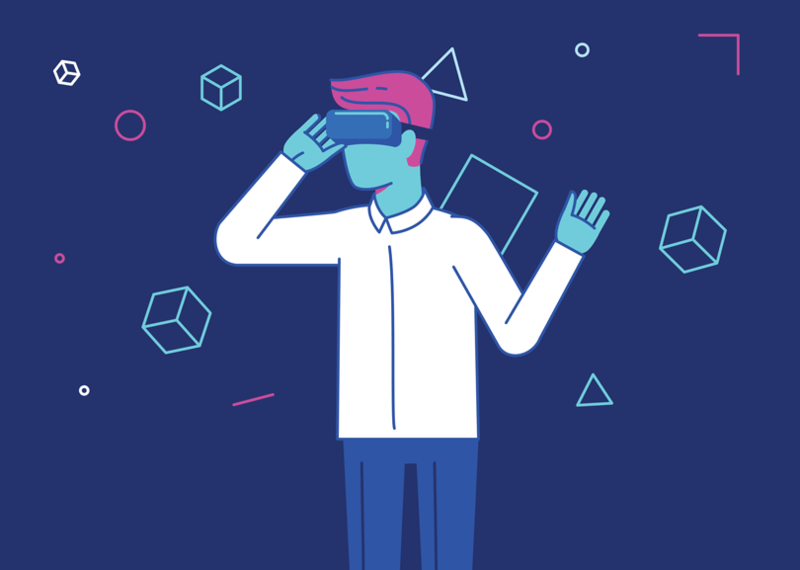 I’m currently seeing a shift from product promotion in 360-degree videos to carefully crafted and impactful brand experiences in interactive VR. I see this as a very good sign: brands are starting to get their heads around the true power of the medium. What goes into creating a successful VR/AR experience and how do you know you’ve achieved it? For any successful VR/AR experience, creators should keep two factors in mind: the client and the audience. We start by digging deep into our client’s brands: values, stories, stakeholders, challenges…etc. We help them uncover the “hidden brief”. Taking those steps back and thoroughly investigating brands is so crucial that we built our own framework for it. On the user’s side, we follow audience experience (AX) design principles. It’s a human-centered approach that considers your audience’s physical, cognitive and emotional presence in an experience. The believability and impact of what is basically an artificial reality has to be about a lot more than just looks! You can usually tell if an experience is a success from the client’s face. Seriously though, we do use a range of digital and experiential metrics depending on the campaign. Where does prototyping fit into the AR/VR design process? Prototyping is a crucial part of any VR/AR design process. Immersive tech prototypes aren’t about what the product can do or how it looks, they need to capture how the experience feels. What we’re really playing with here is not words or images but rather ‘states of being’. That’s why we focus on audience experience (AX) right from the prototype stage. We’ve learned that early prototypes often prompt new ideas and directions from clients. Scripts and storyboards are great when it comes to selling in a project but as soon as production starts, the earlier and more often you can prototype, the better. Usually, we have an AX blueprint to keep all of our considerations balanced, and make iterative prototypes on a weekly basis. What do you envisage the whole immersive technology scene to look like in 10 years? Well if you consider the current evolution of the industry, 10 years is a long time! There are so many ways the hardware can evolve and how creators could decide to use immersive platforms. Based on current trends, I’d say that the VR, AR and Mixed Reality (MR) market will become much more fragmented. For business-facing purposes, sectors like healthcare, training, real estate, manufacturing etc. will have their own content and hardware ecosystems. The consumer side of things is even harder to predict. I share Tim’s Cook view that AR will be big. In 10 years, I expect AR headsets to have become yet another ‘screen’ everyone uses extensively for specific entertainment, work and communication purposes. On the VR side, there’s an ongoing tech & ecosystem battle between Facebook, Google/HTC, Samsung and Microsoft headsets. Regardless of who wins the battle, the promise of VR to immerse you and your friends in fantastic worlds isn’t going anywhere and there are LOT of fun times ahead of us. How do you convince businesses that a AR/VR solution is what they need? We see immersive technology as a multi-faceted platform, not as the idea itself. So funnily enough, we sometimes have to convince clients not to choose VR or AR to get what they need. When we guide clients through our framework, we take the time to really understand their needs, and then make recommendations based on the best use of each platform. We want to align VR and AR with the goals they have in mind and not the other way around! Which companies do you think are getting it right when it comes to this kind of tech? Current headsets are not designed yet to meet the mainstream public’s expectations. There’s a lot of room for improvement: no external sensors, fewer cables, better resolution, eye-tracking, convincing haptic feedback…etc. On that note, I’m curious to see what the Oculus Santa Cruz will have to offer.